Gary Bauer, Contributing Author: Petraeus Testifies  — Former CIA Director General David Petraeus testified behind closed doors on Capitol Hill this morning about the 9/11 attack on our consulate in Benghazi, Libya. Gen. Petraeus told members of the intelligence committees that he "knew almost immediately" that the attack on the consulate was carried out by Ansar al Sharia, an Al Qaeda group in Libya. Emerging from the hearing, House Intelligence Committee Chairman Rep. Peter King (R-NY) told reporters that Gen. Petraeus was asked about the talking points used by U.N. Ambassador Susan Rice. As you may recall, Rice said repeatedly on national television that the attack was a spontaneous demonstration in response to an anti-Islamic film. Gen. Petraeus told the committee that the original CIA talking points were "much more specific about al-Qaeda involvement." But they were edited during an "inter-agency process," and no one knows where in the process that "much more specific" information got cut. Unfortunately, as Rep. King indicated, General Petraeus' testimony this morning contradicts what he told the committee in September when he essentially toed the White House line. It also raises questions about who cut information about Al Qaeda's involvement and why. On MSNBC this morning, Senator Saxby Chambliss (R-GA), vice chairman for the Senate Intelligence Committee, said, "Susan Rice was sent to give a White House message. It was not an intelligence community message, and there's a very clear distinction in that." Every American should demand to know why the White House was not in sync with the intelligence community. Jerusalem Targeted — Palestinian militants fired rockets toward Jerusalem today. Fortunately, they landed in open fields outside the Holy City and no one was hurt. A Hamas spokesman said, "We are sending a short and simple message: There is no security for any Zionist on any single inch of Palestine and we plan more surprises." Israel has already called up 16,000 reservists, and IDF tanks are massing on the Gaza border in preparation for a possible ground assault. After today's attack on Jerusalem, Reuters reported that as many as 75,000 reservists may be called up. Meanwhile, the Egyptian prime minister, our supposed ally and product of the Arab Spring, has rushed to Gaza to show Egypt's solidarity with the Palestinians. Egypt has a peace treaty with Israel. Egypt receives $1.5 billion dollars in aid from the U.S. each year. It is time to demand more from our "allies" in Cairo. If President Obama is serious, he should get Mohamed Morsi on the phone and tell him to stop standing with the terrorists or go find his $1.5 billion somewhere else! As this crisis continues, we will no doubt hear more about alleged Israeli "war crimes." So let's talk about real war crimes. As David French correctly notes, "Every Hamas rocket attack is a war crime." Why? Because they are aimed at civilian targets with the intention of terrorizing the Israeli people. These rocket attacks are terrorist attacks. Moreover, Hamas has intentionally positioned its rocket launchers in civilian areas, near mosques, schools and hospitals, thereby turning innocent Palestinians into human shields. Under international law, placing such weapons in civilian areas constitutes a war crime, and it is not a war crime for Israel to take them out. Obama Continues The Campaign — For most Americans the 2012 campaign ended on November 6th. But the left isn't stopping. Today's Washington Post reports that "President Obama's reelection machinery" is being kept in place and will be used in an on-going "campaign to pressure Republican lawmakers." At least 100 Obama campaign operatives have been retained for this massive effort. According to the Post, these "former campaign organizers" will "orchestrate protests in front of lawmakers' offices and set up phone banks to call constituents." For all the talk about compromise, this is just more Chicago-style hardball politics! Obama has doubled his demand from $800 billion in new tax hikes to $1.6 trillion. At least 13 Senate Democrats are resisting cuts to entitlement programs and demanding that any deficit reduction plan be based on a 1-to-1 ratio of tax increases to spending cuts. Keep in mind that Obama has run $1 trillion deficits each and every year of his administration. Spending, not revenue, is clearly the problem! And to top it all off, other Senate liberals are demanding another stimulus package! Yes, that's right -- their solution to our spending and debt crisis is even more spending and more debt! All of this is increasing the suspicion among conservatives that Obama and his Democrat allies really don't want a deal at all. In fact, they may even want the country to go off the fiscal cliff. Here's the partisan logic: If Democrats can force enough weak-kneed Republicans to buckle and accept a bad deal, Democrats win and the GOP hurts its brand again. Or they just keep upping the ante so much that even the weak-kneed Republicans can't go for it. If nothing happens, the Bush tax cuts automatically expire on January 1st and Obama still gets his tax hikes. But he also gets the added benefit of bashing Republicans for the fiscal chaos that ensues. Some liberals believe it's a win-win for Obama. I have spent the last few days in private meetings with conservative leaders and our allies in Congress. I have not found anyone who is confident we can finesse this issue. All most Americans will hear is Obama's spin amplified by the left-wing media. Union Bankrupts Twinkies — Here's a good indication of the mood on the left and its unwillingness to compromise. Hostess Brands, makers of Twinkies and Wonder Bread, is shutting down and laying off 18,000 workers at its 33 bakeries and 565 distribution centers. Hostess is going out of business because the bakers' union refused to accept a new contract, ignored repeated warnings that the company risked bankruptcy and went on strike. No doubt Michelle Obama and Michael Bloomberg are doing a victory dance. First they tell us that men can "marry" other men. Now they are telling us that we must do without Twinkies! Joking aside, the president of the Service Employees International Union said a few years ago, "'Workers of the world unite,' it's not just a slogan anymore." Presumably he knows that slogan comes from Karl Marx's "Communist Manifesto." 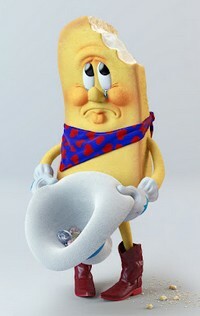 But I wonder just how much unity the workers of Hostess Brands are feeling today. Tags: Petraus, Testifies, Jerusalem, Targeted, Hamas, Barack Obama, Unions, Hostess, Twinkies, Gary Bauer To share or post to your site, click on "Post Link". Please mention / link to the ARRA News Service. Thanks! Atop Obama's second term "to do" list is the full implementation of his signature first term accomplishment: ObamaCare. Having secured another four years in the White House, Obama can now block any effort to overturn his socialized medicine law — although states can (thankfully) still stop much of its new spending if they reject ObamaCare's "exchanges" and refuse its Medicaid enrollment expansions. For the sake of our future deficits, let's hope they do so en masse. One provision of ObamaCare that can no longer be stopped, however, is its "employer mandate." While nowhere near as infamous as the "individual mandate" compelling citizen participation in the health insurance market, ObamaCare's requirement that companies provide coverage to all employees working more than 30 hours a week will be a job killer nonetheless. Not only will this mandate prevent job growth among small businesses, it will also result in fewer hours and less income for workers at larger companies. These are people struggling to make ends meet on limited income — people who cannot afford to lose these hours. Last month Darden Restaurants — which employs 185,000 people at nearly 2,000 Olive Garden, Longhorn Steakhouse and Red Lobster restaurants — revealed that it was scaling back many of its employees' workweeks to 28 hours. Ordinarily such a move would result in high turnover and an influx of less-competent employees — but not in Obama's economy. This month Kroger — the grocer that employs 350,000 people — announced that existing part-time workers and new hires would be limited to working 28 hours per week. "Kroger is doing this to avoid paying for full-time health care for employees who currently only receive part-time benefits," one employee explains. "And (so) they will not get hit with the $3,000 penalty." All us non-Ombumminites can say is: Thank you Mr. Obumma. Thank you very much DemocRATic (pass it so we can read it) Congress. And not least of all, thank you very very much all you occupants of the Obumma Plantation for insuring that Mr. Obumma’s signature first term accomplishment (ObummaCare) continues on.